New Arrivals!!! 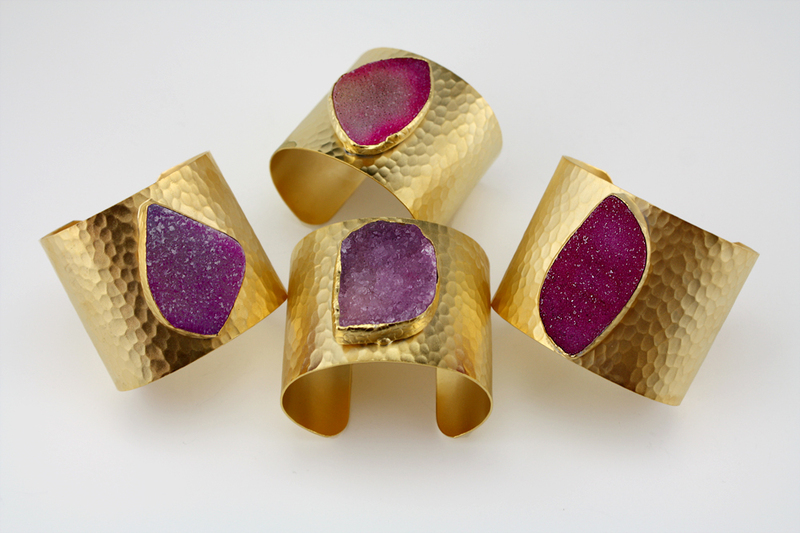 24K gold plated Druzy Rings RGD. One size fit all! Stone Shape: Retangular, Oval, Pointed, Irregular etc. etc. 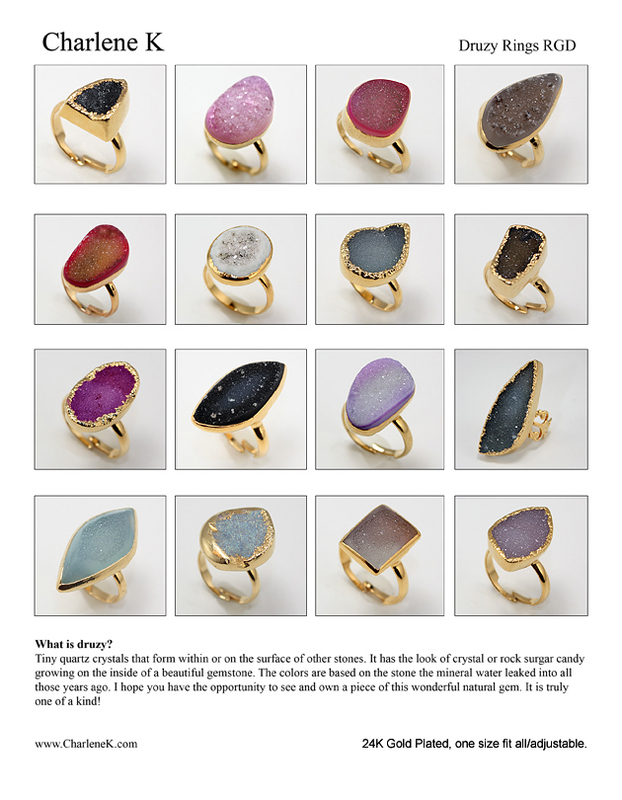 *** These are natural stone so they are vary in shape and color. Wardrobe/Makeup Stylist: Steffani Symons, Kelly Young, Emily Brynne Towry and Melina Ruiz. Charlene K: Onyx Druzy Pendant.